This button gets the up button(increments the count up) closer to the employees to reduce motion. 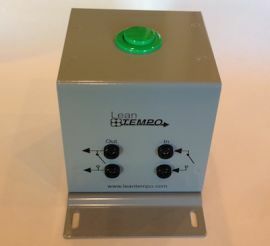 Additional buttons can be connected to this button, so you could have two employees working on the product in a cell and have two extension buttons controlling the same unit. This unit is a closeout because all products in the future will be white with a slightly different design.